Commercial or Small Scale Projects. Protecting landscapes and controlling erosion is what we do and today that comes in a large of array of solutions from conventional hydroseeding to full erosion control plans for shorelines, construction zones, and exposed surfaces. 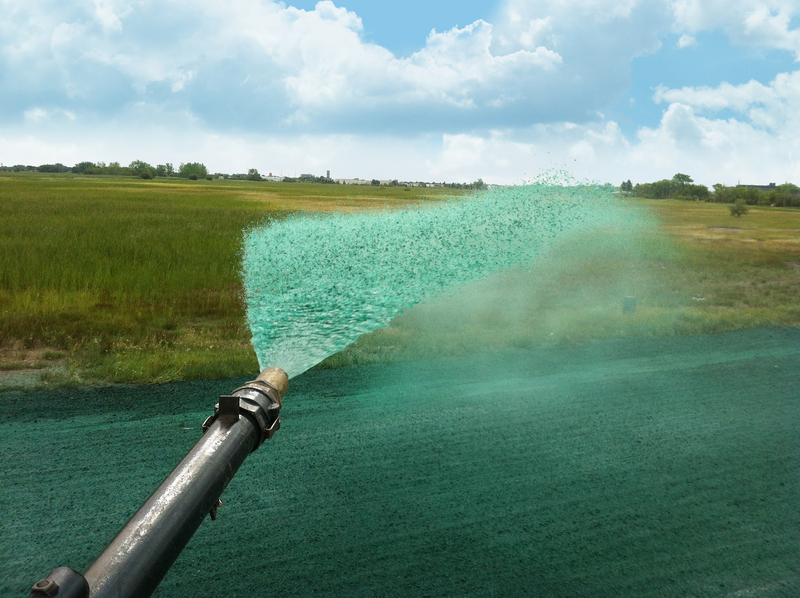 Beginning in 1995 Mid-Canada Hydroseeding has literally grown with the latest in technology and is highly experienced to solve your most difficult erosion and sediment control problems from backyards to major development projects. Conventional hydroseeding is integrated with other products and techniques to create an array of erosion control measures. 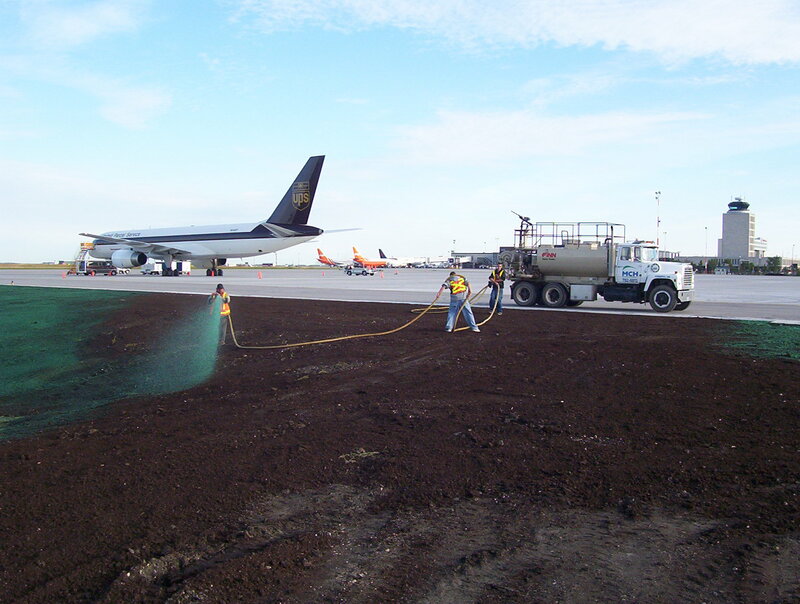 Mid-Canada Hydroseeding’s projects are tailored to your needs. It may be as simple as hydroseeding, or a more complicated job employing Bonded Fiber Matrix, or more structural products like EnviroLok. Hydroseeding is an economical and efficient way of seeding large exposed areas using water as a carrier. Benefits include greater wind resistance, and erosion protection. Hyrdoseeding alone is not enough to control erosion on steep slopes. Other approaches and products need to be applied. When sediment cannot be completely controlled on site there are several measures to capture it before it exits a construction site. 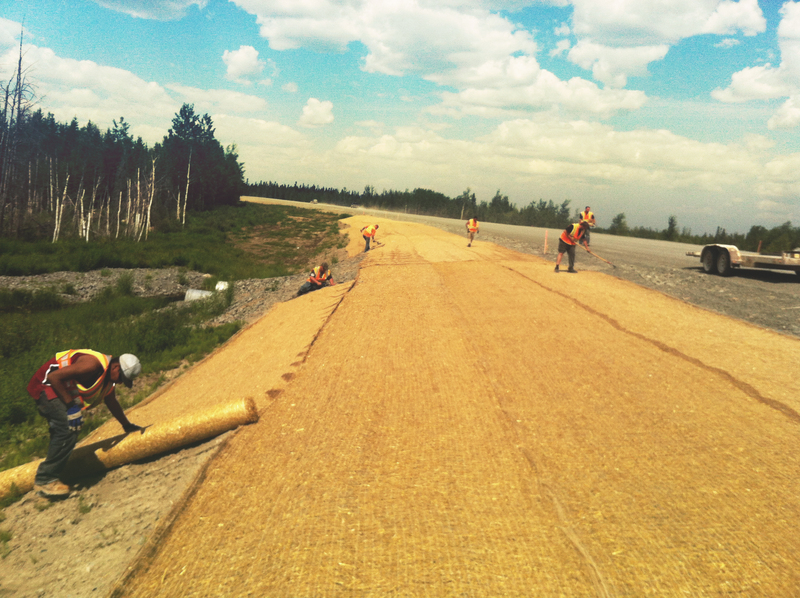 Mid-Canada Hydroseeding develops shoreline protection plans and constructs solutions that make use of natural materials to re-establish vegetation and stabilize shorelines and backslopes. Work can be done on small properties or on extended shorelines of entire lakes. Exposed areas can be protected from rain, and water flow using sustainable practices including erosion control blankets, and straw wattles. Right solution for the job – We develop solutions that we know will work and last indefinitely. Timely and efficient - We get to the job on time and stay until it is done. We are always committed to our client’s schedules and needs. 20 years of experience and expertise - We’ve seen it all and have developed and tested our own approaches to improve the success of our work. Fully equipped - We have the right equipment from working on narrow backyard riverbanks to lake shorelines around hydro dam projects. Satisfied clients - From large industrial clients to residential homeowners. 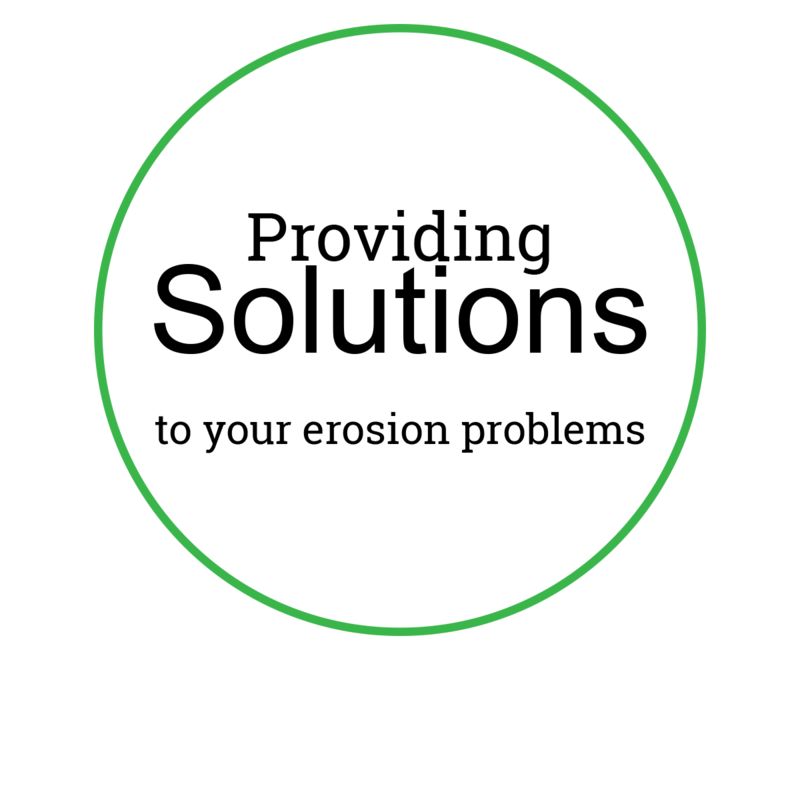 Environmental Sustainability - This is a core value in what we do. We plan and implement projects that protect and restore. We believe in the value of our work that keeps soil on the landscape and keeps our waters clear for the benefit of wildlife and aquatic life. Our follow-up on past projects ensures our work is effective and helps us improve our delivery. LEED certification – We also encourage our clients and provide plans and services for LEED certification related to erosion and sediment control. 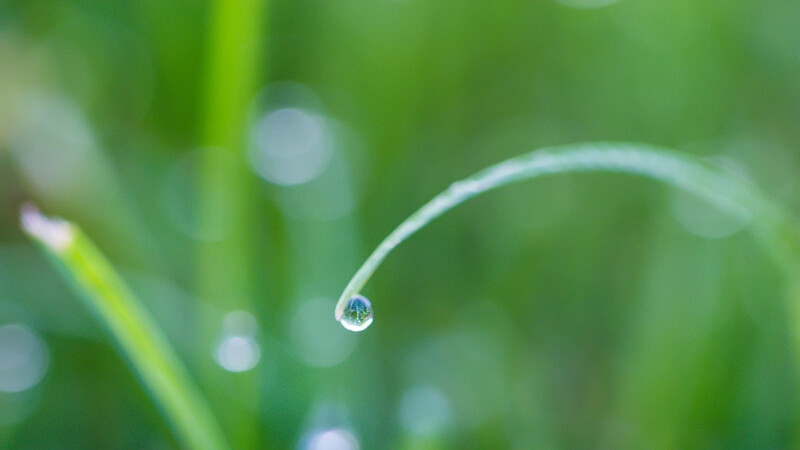 Mid-Canada Hydroseeding is committed to protecting the environment and believes in not only doing the job right, but also ensuring long-term success of all projects. We advise our clients based on our extensive experience on the best approaches and most enduring solutions. We are committed to environmental sustainability and practice it in our own operations.